wondering how to incorporate your dreams into your daily planning? moi too! thus i recently sat down with a black sharpie, anthropologie catalog, my planner pad, and japanese masking tape. once i shared my fall dreams coupled with september dreams, i realized i needed to be sure to pull them together in a space i would see often. hence, my beloved planner pad. here is a snippet of my september - december dreams taken to visual form. as i move into the divine season of fall (love, love, love - can you say "tall boots, layers, hot cocoa? "), i realize that i only have 3.5 months left in 2010! hmmm, how will *you* top off this year? moi? pray in india and i hope to spend a weekend with sarah susanka at kripalu in december. let your dreams cOMe to life in visual form and take note of how you want this year's finale to feel. remember, daily actions toward dreams. I just ordered a planner pad & some super cute masking tape off of etsy! 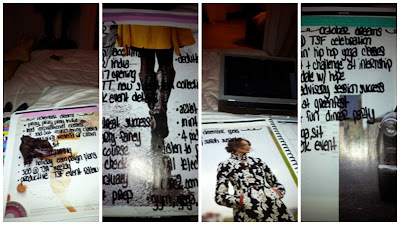 Can't wait to get them....hoping the planner will help me better utilize my time. Teaching, supervising, grad school & running my shop are becoming a wee bit too much to keep straight...hoping to do it with style & grace! Also looking forward to listening to your fall teleclass to focus my intentions! You are truly such an inspiration! I don't know how you juggle all that you do!